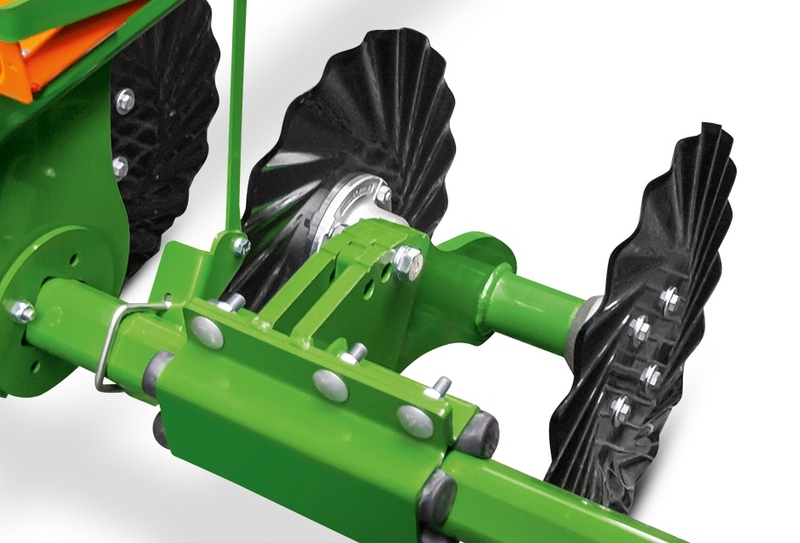 The corrugated design of the minimum TillDisc for the trailed Amazone cultivator cuts through surface residues in strips directly in front of the seeding coulters. Available as an option to the standard 460mm discs on 3.0m to 6.0m models, the land in between the seed rows is left uncultivated, which says the company prevents weed seed germination. The corrugated discs are also said to move significantly less soil than the conventional two-row cultivation discs. Other claimed benefits of the corrugated design include a reduced number of surface clods in moist and sticky conditions, and the Cirrus is easier to pull, which says Amazone, reduces fuel consumption.